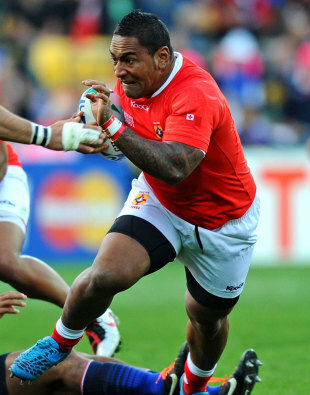 Tongan international prop Halani Aulika has agreed a two-year deal with Aviva Premiership side London Irish. The 28-year-old, a member of the Tonga squad that upset eventual finalists France at the recent Rugby World Cup, played for the Highlanders in last year's Super Rugby competition and more recently featured for Otago in the Air NZ Cup scoring five tries. Standing 6ft 1in tall and weighing over 19st, Halani will bring plenty of size and power to the Irish front row and is equally proficient at tight-head and loose-head. Irish head coach Toby Booth was delighted to secure the services of Aulika who will join the club ahead of the 2012-13 season. "Halani will be a strong addition to our front row as he is able to play on both sides of the scrum. He is dynamic and a good athlete which enables him to carry very well. His New Zealand upbringing means he displays good set piece attributes which is what we need in the Northern Hemisphere." Commenting on his move to English rugby's top flight, Aulika said: "London Irish play a very expansive style of rugby that I am familiar with having played a similar style in New Zealand. I'm looking forward to the challenge of playing in the Aviva Premiership and testing myself against some of the best players in Europe."